Holiday season is rolling around. You’re probably excited to start working on a bunch of projects for friends and family. 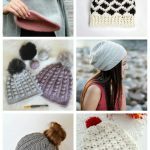 Stitch 11 has a million fun gift ideas but I’ve been really excited for the Beanie Hat. 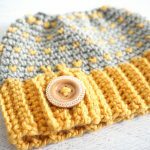 If you’re looking for a bright start to those dull winter mornings, the Adult Duo-Tone Beanie is the perfect project for you. 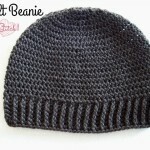 It’s made out of a strong 100% highland wool yarn. 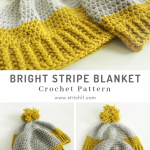 It’s super warm and comes in a golden yellow color paired with a soft grey. Hats, glorious hats. We really love hats. 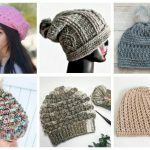 They keep your head warm. They make you look cute. And they’re super fun and easy to make. 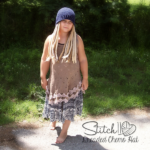 This fun yellow hat will be sure to brighten up any gloomy day - even though you can choose whichever color you’d like. People won't be able to help but ask you where you go your cheerful headpiece from. My aunt was recently diagnosed with leukemia. 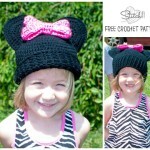 I had asked her if there was anything I could do for her, and her only request was a dreaded chemo hat. By the way, my aunt is brilliant! 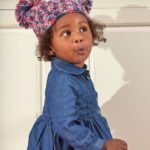 The Pom-Dorable hat is designed to fit a 20" head, using Red Heart Baby Hugs. Perfect for most 1 year olds. 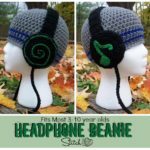 I am excited to share with you my first attempt at including all sizes at once! Please show me your finished pieces so I know I did my job correctly. 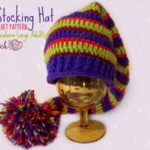 Enjoy this fun & free Elf Stocking Hat crochet pattern by Stitch11! 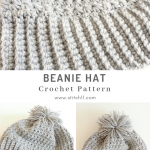 This free crochet pattern is inspired from the mind of my cousins 4 year old son. He made the request, and I was thrilled to bring his idea to life! Red Heart With Love - Black, Gray, and Blue. My daughter requested a hat. 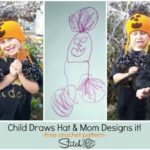 She drew a photo and picked out the yarn colors. Although I know not everyone will want a pumpkin face exactly the way my daughter designed, I am sharing with you the pattern. The men my husband works with have been planning a company golf outing. 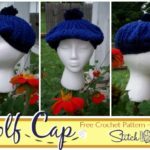 My husband begged me to crochet him a golfers hat. I'm not 100% sure if he's wanting it to be cool, or funny- probably both! Ha! Each time I make something... I tend to want to do things a little differently. I decided to use Caron Simply Soft this time. 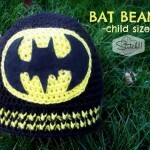 In order to get the correct size, instead of using the original Minnie Mouse Hat for Preschoolers or the Child Size Minnie Mouse Hat, I used the Hat Pattern from the Batman Hat. 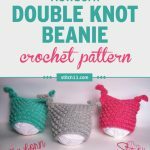 -NOTE- If you choose to use another medium weight or worsted weight yarn, it will most likely work up larger than it does with Caron Simply Soft. If that is the case, you may want to stop increasing sooner. 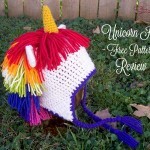 When a friend asked me if I could make a unicorn hat, THIS FREE PATTERN by Repeat Crafter Me quickly came to mind. 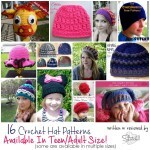 I love how she writes most of her hat patterns in multiple sizes! 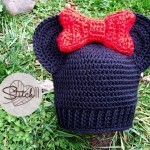 It makes her designs very reliable when you get requests such as "6-9 month size". 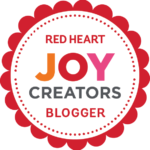 Thanks Repeat Crafter Me! 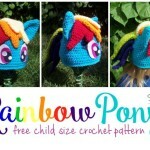 This year, my daughter has requested to be a rainbow Pegasus pony. Last year, she was a fox. You can find the fox costume tutorial HERE! The hat is the first piece of her costume. Make sure you are following me on FACEBOOK so you can see the costume come together! 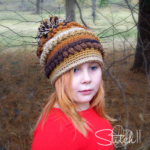 I have had a lot of people asking me what kind of hat's I've made for adults. This is the perfect excuse for me to bring together the most popular adult hat designs that have been written or reviewed by me!